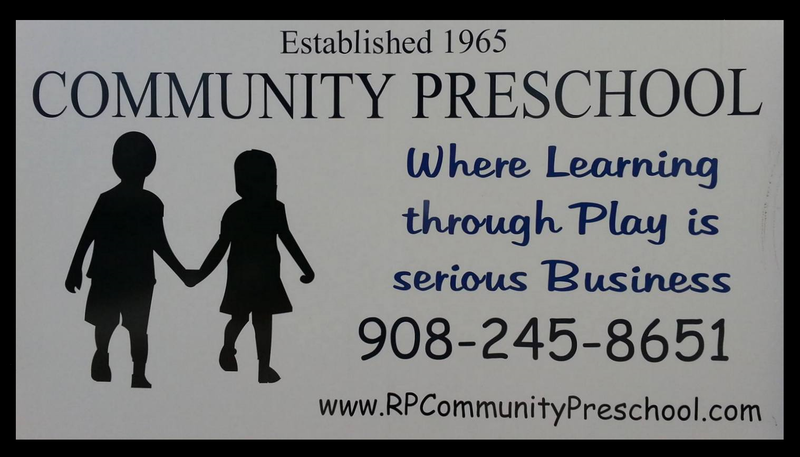 Established in 1965 as Community Nursery School, today Community Preschool is a state licensed part-time Christian based preschool program sponsored by the Community United Methodist Church of Roselle Park, NJ. Community Preschool offers quality care for children ages two through five years of age, of all faiths and from all communities! Our school and state certified staff members offer a safe, healthy and nurturing environment allowing each child to grow and develop socially, emotionally, cognitively, physically and creatively. The school year runs from September through June and follows the Roselle Park School District’s calendar. An optional and wonderful Summer Fun Program takes place for two 4- week sessions after the close of regular classes in June and runs thru the end of August. Please call or stop in for a tour. We look forward to meeting you! Don’t forget to “like” ♥ us on Facebook to stay updated with the latest events and news.